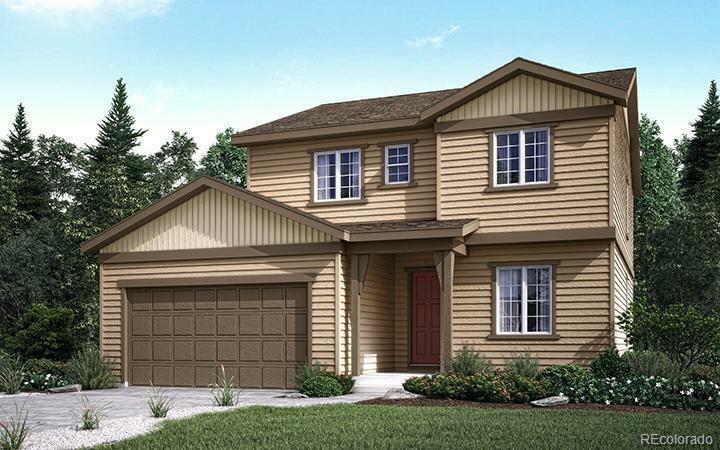 BEAUTIFUL BRAND NEW CENTURY COMMUNITIES HOME located in the Town of Parker. Three bedroom, 2 bathroom, two story home. This home offers the extended dining room option. The kitchen features an amazing large rounded center island, polished granite and quartz counters throughout the home, upgraded dusk cabinetry, 5 burner gas cooktop, hood and convection microwave and oven, fireplace in great room, multi-slide glass doors leading to the patio, plus main floor study. Our professional design team selected all the interior finishes. A short commute to highways and light rail.